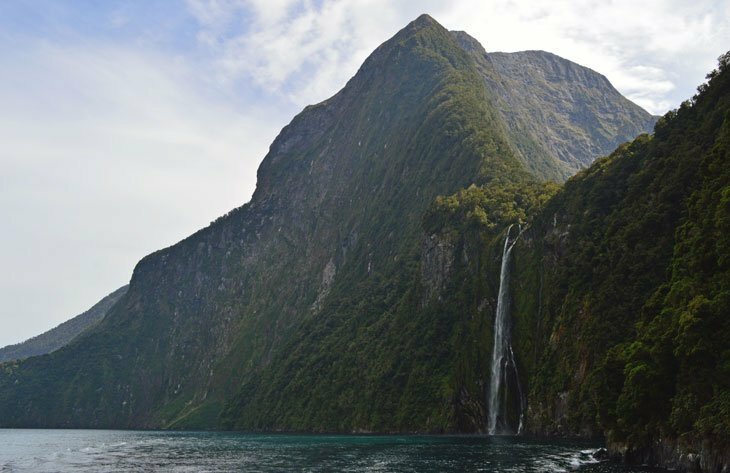 What a feature it is that awaits you at the end of the Milford Trail… Milford Sound in all its glory! 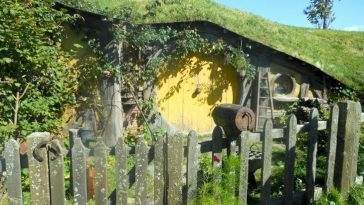 As far as travel destinations go it is one of the top ‘go to’ spots when visiting New Zealand. All of those that have had the pleasure of actually being there will know what all the fuss is about. Yes. 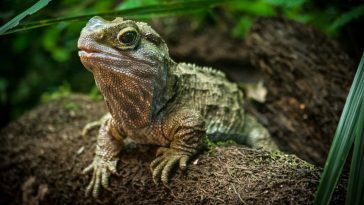 It is spectacular, crikey yes. 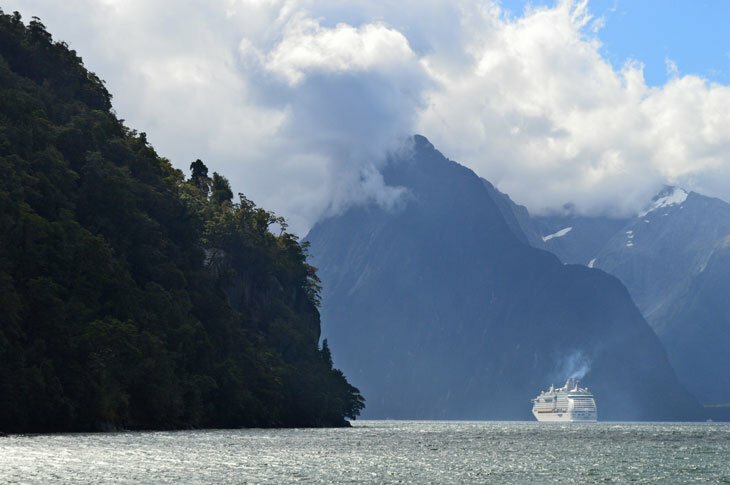 Even Rudyard Kipling described it as the ‘eighth wonder of the world’. 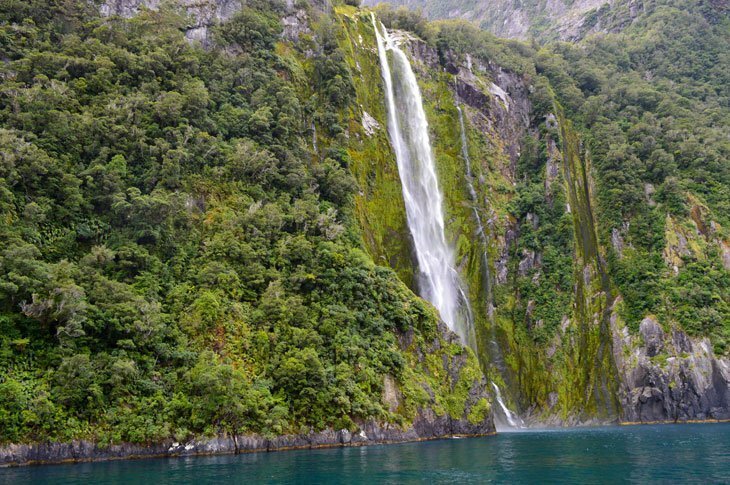 Nestled in the south of Fiordland, New Zealand this spectacular waterway is one huge 15 kilometre long monument to nature in all its forms. From the entrance at the Tasman Sea all the way through the waterway inland it is as a non stop awe factor. A bit of backtracking in time reveals the history of the name. 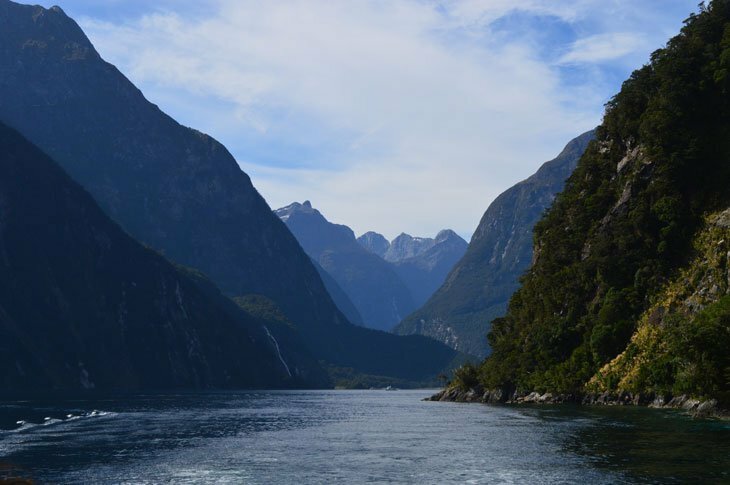 When Captain Cook first discovered the area he sailed past many of the entrances to the narrow Fiords like this with high steep mountainsides. 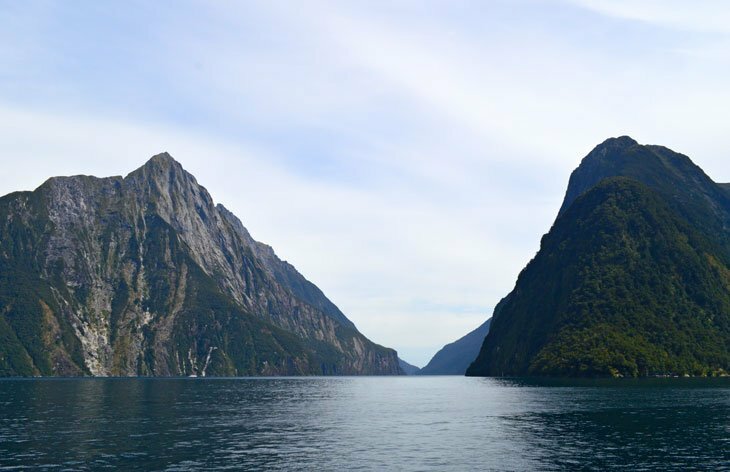 leading to names of nearby Fiords like ‘Doubtful Sound’. Basically the discoverer of this paradise was John Grono whom from Milford Haven in Wales chose his homestead to name it after. 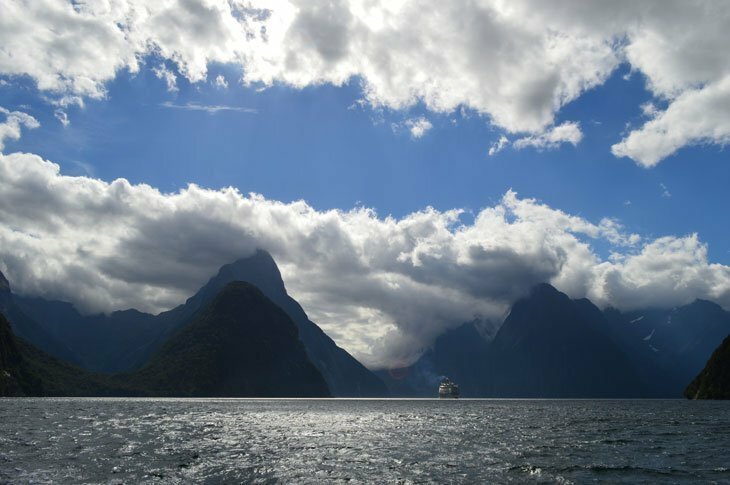 It later became Milford Sound but that is due to early settlers not nowing their difference between a Fiord and a Sound. 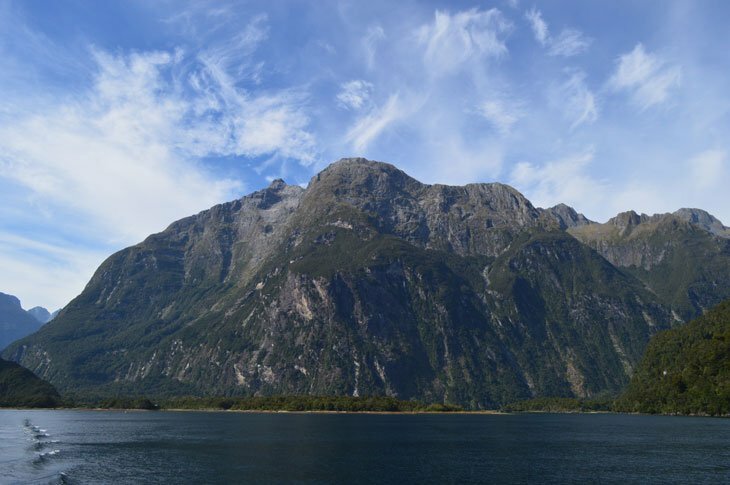 The Welsh names connection continues up in the mountains with nearby Pembroke Mountain or even the river that flows into Milford Sound, Cleddau River. I was lucky once more. 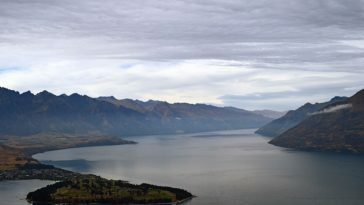 This is one of the wettest inhabited places on earth. With on average 182 days rain a year and nearly 7,000 mm of rain with it I took every opportunity to enjoy a day there in hazy sunshine. 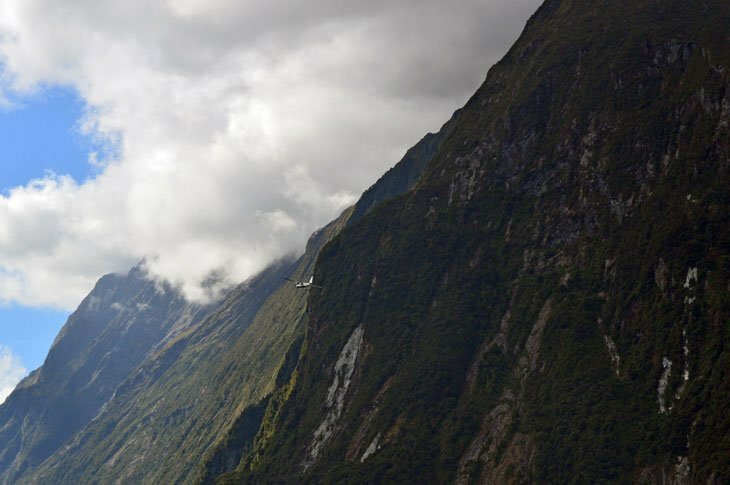 Again, as I said on the Milford Track, rain is never bad here. 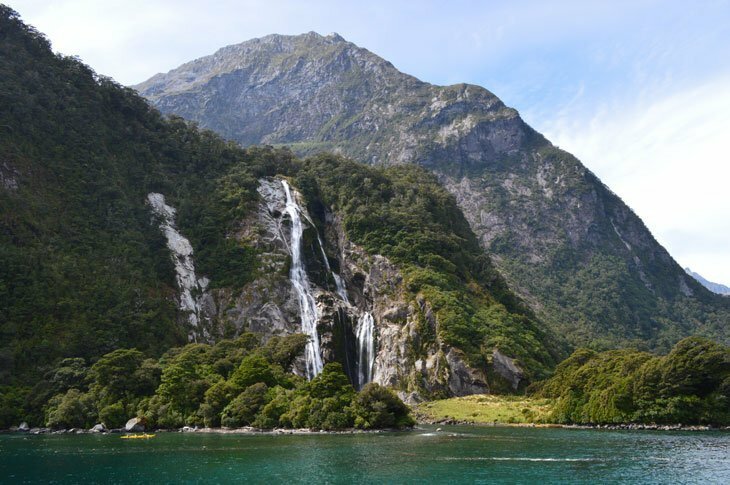 These high steep mountainsides that lead down to the water can produce waterfall after beautiful waterfall producing images that would never be forgotten for the good. Looking out down the Sound from the shoreline gives the view known by many people. 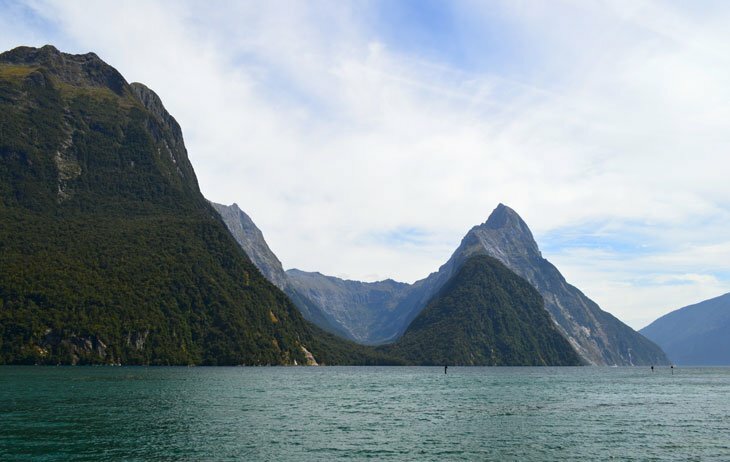 The iconic Mitre Peak rising tall from the water. 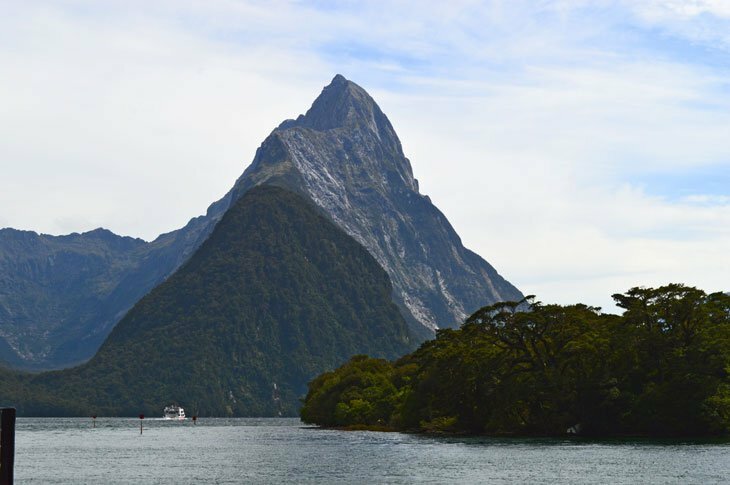 Seeing that view with my own eyes after so many times on photographs had my discovery blood pumping before the day had really begun 🙂 Of course, I took the opportunity to get out on the water with Mitre Peak Cruises. Over 2 hours to enjoy every inch of the waterway. All the way out to where it meets the Tasman Sea and return. Absolutely marvellous, truly. 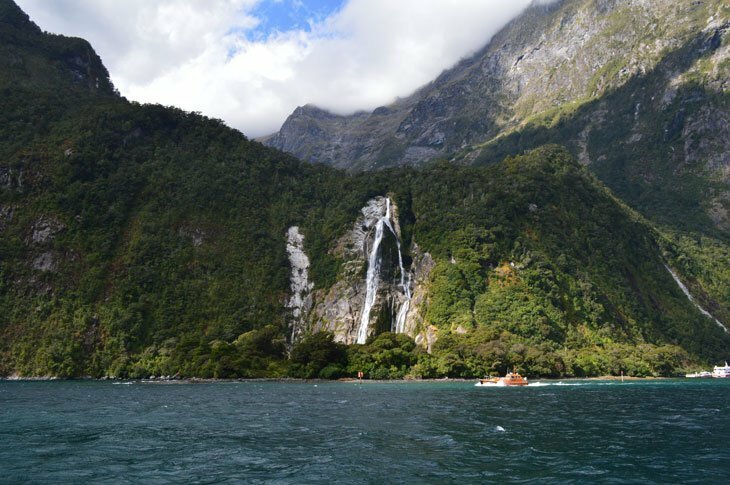 Although dry the two permanent waterfalls on the Fiord gave a wonderful sight. 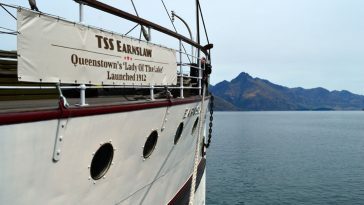 The boat gets up close to give a great sense of scale, Lady Bowen Falls and Stirling Falls. 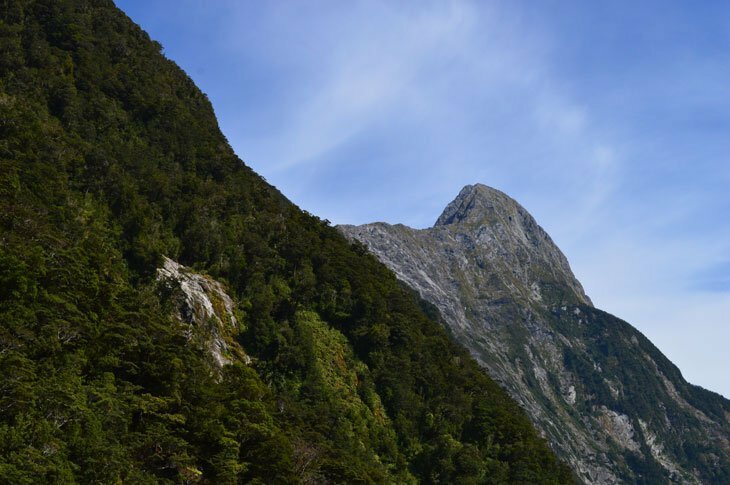 To be right under Mitre Peak itself was a neck arching experience. Look up and up and up, the old glaciers did a wonderful job. 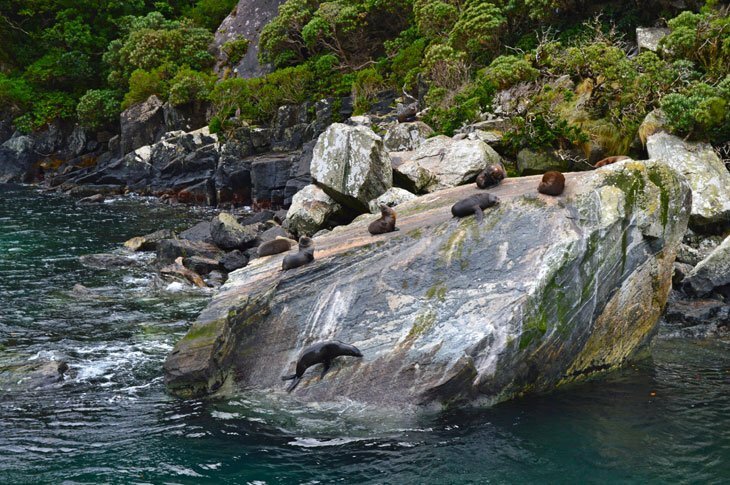 Turn another corner and a crowd of seals laze in the sun on a rock. Many more jumping in the water for a swim. A rare spot to get close to them and watch. On many days you can also get dolphins, penguins and more besides. Honestly, you don’t need to be here long before you realise why it is a haven for travellers. The views you see speak for themselves. It is not just a case of seeing on foot or by cruise either. Helicopters and small planes take people to view from above. Kayak trips allow for a closer look by hand. 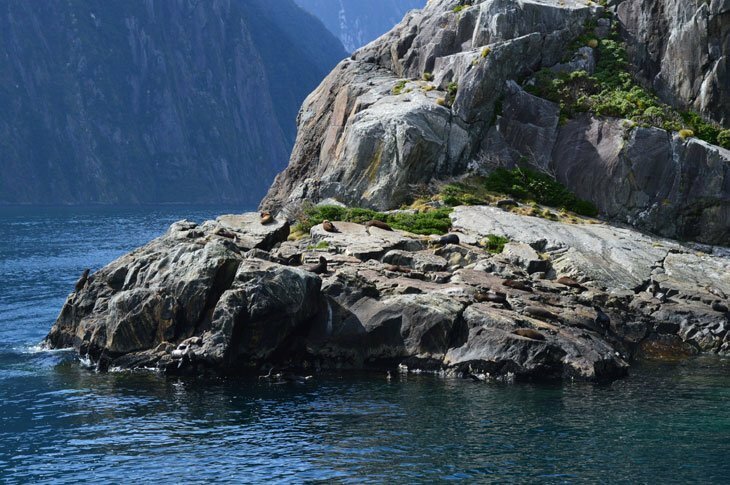 It is not just a Fiord… It is an experience. Thanks for the beautiful pictures. 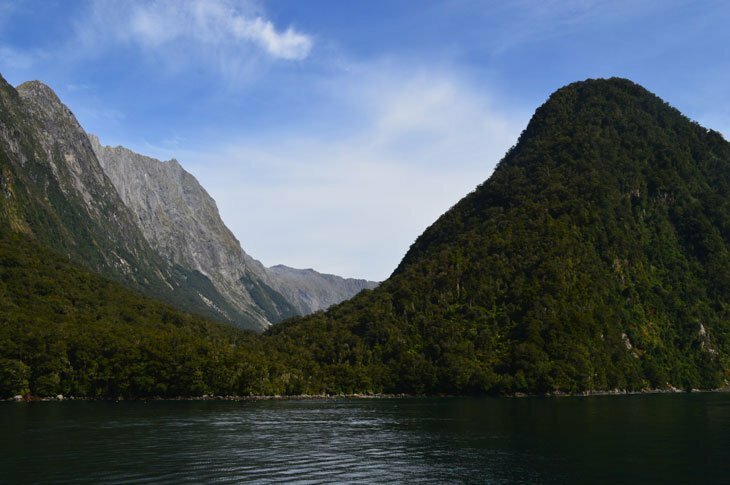 When we went to NZ in 2012 they closed the Milford Sound Highway due to falling rocks. Seems we have to go there again. What an amazing place. Makes Wanderlust right away! Man, what’s an adventure! I love it seeing your captures. So beautiful, bet it’s so fresh and peace. Mix with nature. Good Job!